Marketers are a vain, time poor bunch and it seems nothing shows this more-so than the recent study of 2.7m blogs by HubSpot’s Dan Zarrella. According to Dan’s research, there’s no correlation between the number of clicks on a blog and the number of retweets. However, interestingly over 16% of blogs had more retweets than clicks. So, what does this research mean? Well, HubSpot’s report suggests that people tend to retweet without reading the blog itself. In turn, this would mean people retweet based solely on the title of the blog, making the headline extremely important. So, how do you nail those titles that earn retweets – here’s how. In title terms, the passive title will be left on the shelf and the actionable title will be picked up and retweeted. People are always going to click through on a title that is actionable and explanatory. For instance ‘5 Tips for Increasing your Facebook Engagement’ is always going to have more clicks than ‘Facebook Engagement Tips’. Create exciting, relevant actionable titles for your blogs. One thing to note is that in advertising terms, reports also suggest that 5 times as many people read the headline as read the body copy. This proposes that 80% of the cost of this advertising is spent on the headline alone. Most titles on SERP are cut off at 70 characters or so. In turn, your titles should ensure and follow this advice and fall below the 70 character count. Shorter titles are also less complex, easier to digest with a glance and don’t lose people’s attention. Honesty is also important. If you create a headline that is in no way relevant to the content, then you risk losing trust and people will be less inclined to see you as an authority in the field and return to your site. This also goes for vague language – you don’t want people to misconstrue the header in relation to the content as this also may cause the same trust problem. Make sure that the heading showcases your work as awesome and always communicates a strong message. Though, you don’t want to be melodramatic, you should still err on the side of having the self-belief that your work is worthwhile reading and offers a lot. This means people have to be impressed by merely a glance at your title and means it should come across as intriguing and unique. Publish exciting, unique articles that provide value and are relevant to something current and interesting. There’s no point writing about something in the distant past that offers little relevance. 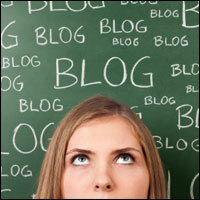 Make your blog and its title current, intriguing and something to be proud of. Including keywords, particularaly long tail key words are a great way to improve search engine optimisation, Google rankings and traffic to your blog. If you produce a well optimised title and a piece of content that is also a great read; you are helping your search attempts and also encouraging organic traffic. Following these tips will increase the retweets of your titles, whether it will improve the amount of people that read them, who’s to know?